For residential and commercial applications. No job too big or small! We have the skill and experience to get your upholstery cleaned properly and without damage or excessive wetness. We offer many additional services that home and business owners/managers should be aware of. Roberts Carpet & Upholstery Care specifically selected the internationally renowned Von Schrader® cleaning system because it is a true low moisture cleaning system. Let’s face it, no home or business owner wants to be inconvenienced for 1-3 days due to wet or soggy, carpets, rugs, and/or furniture. 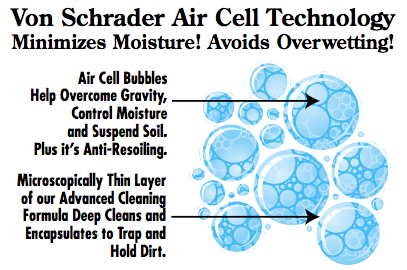 The Von Schrader® low moisture Advanced Air Cell with Encapsulation Technology system, has only a 10% moisture content. This means there is no chance of over wetting your furnishings. No chance of causing damage to the carpet fibers, backing, padding, or flooring underneath. No chance of mold or mildew growing. This is a SAFE cleaning system designed and manufactured by Racine Industries in Racine, WI, in business since 1935. Made in the USA. Fact. Your carpet is a filter. 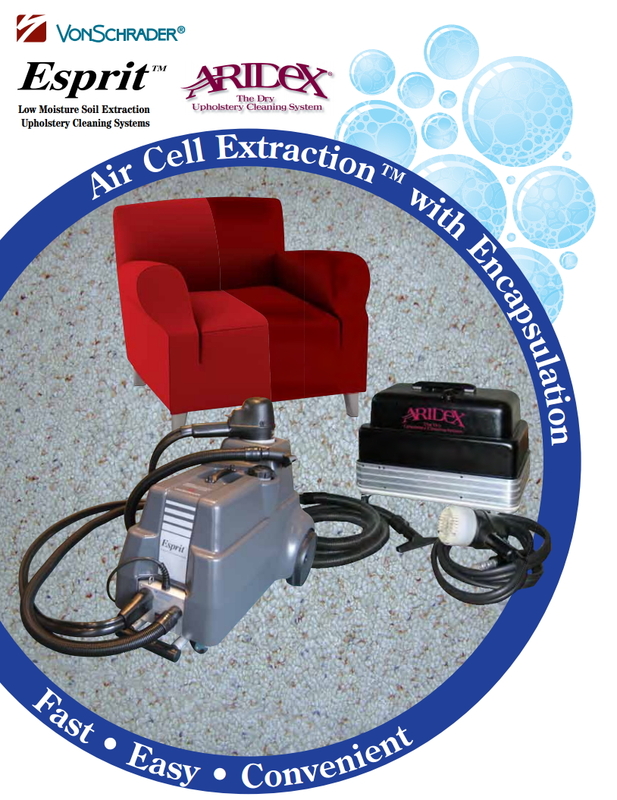 It traps all the airborne particles that float in the air from pollen, dust, pet dander, smoke, cooking odors, etc. It also traps and holds soils, pollutants, oils, tar, dirt, etc. that we track in from the outside. Your carpet, as a filter, needs regular cleaning just like any other filter – vacuum, heating and ventilation, automobile, dryers, etc. Each time we change our filters, or clean them, the operating system improves. Same with your carpet. When you clean your carpet and rugs on a regular basis, you are removing damaging soils and particulates, and extending the wear life of the product, thus saving you money. A healthy carpet leads to a healthier indoor living environment. With all the pollutants, pollen, dust, dirt, etc., removed, your Indoor Air Quality improves which means you breathe easier and FEEL better! 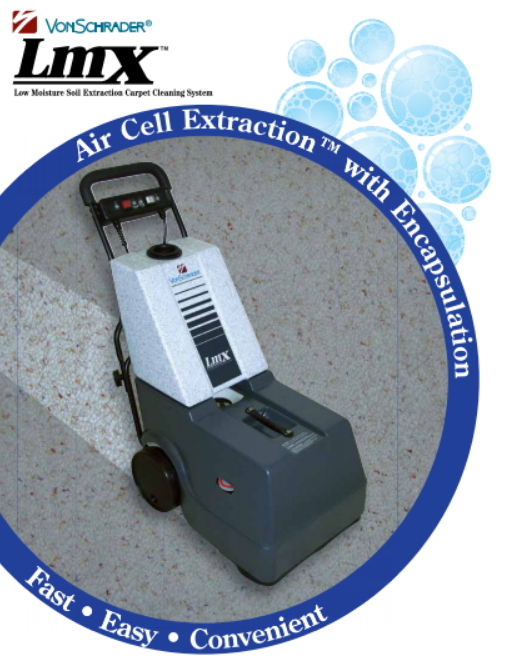 The Von Schrader® upholstery cleaning system uses the same technology as the carpet cleaning system. This cleaning process uses gentle, biodegradable, non-toxic and fragrance –free cleaning products. All are Green Seal Certified. There is no oily or sticky residue left on the fabric to attract and hold soils. Fluffy low moisture foam suspends soils and oils separated on your fabric by soft, gentle nylon counter-rotating brushes. Dirt and foam are then removed by the powerful vacuum action. Your furniture dries faster because of the low moisture content. In addition, I use a combination of hand-held dryer and air movers to speed your drying process. As often as possible we send out a newsletter containing helpful tips, product and service information and even some coupons and special deals. Check this months issue here! These straightforward tips will help extend the life of your carpet. Thank you for a great job. I’m very satisfied. Chuck did an excellent job on our carpet. Came out better than expected. Chuck was very knowledgeable and professional in his work. Thanks again for another great cleaning Chuck! We were very pleased with everything. I would highly recommend you. Thank you so much for the great job again. I am most satisfied with your service and will not be using any other.